The statistical analysis of data continues to gain in importance as an essential approach in numerous natural, medical, technical and social sciences. Contrary to classical mathematical statistics, the emphasis here is placed not on specific methods, but on their suitable combination, allowing the assessment of data quality and the selection of a suitable statistical model, including its verification. 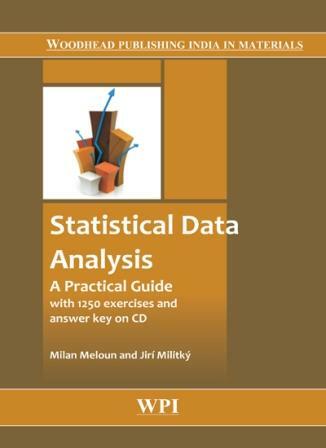 Statistical Data Analysis: A Practical Guide includes interactive statistical analysis theory with plenty of graphic diagnostics and numerous model examples solved in detail. The book also features 1,250 practice exercises from the natural sciences, medicine, economics, sociology, technology and the environment. The necessary statistical software QC-EXPERT with manual is provided for this on the CD. The reader is therefore fully equipped to carry out his or her own computer analysis of data. With the selected appendices examples, exercises, and data on the accompanying CD, the book may be directly applied in chemical laboratories or in chemometrics, biometrics and also in economics in econometrics, sociology, medicine, and in monitoring the environment.